Thanks to more smartphone penetration, improved Wi-Fi capabilities, more built-in sensors and an increased number of wireless devices -- including diagnostic instruments -- IoT is growing into a success story in healthcare organizations. IoT for healthcare is already yielding more efficient, often-automatic data collection and documentation, which could be good news for nurses bogged down with electronic paperwork. Nurses may spend 20% of their time on a shift documenting patient care in electronic health records (EHRs) or reviewing those entries, according to 2016 research from the University of Pittsburgh Medical Center. Much of IoT's promise in medical settings centers on its ability to merge patient data from various sources. "Data integration remains the mainstay of high-quality healthcare, allowing for the unobstructed sharing of clinical data for optimal decisions to be made to treat patients, based on the most current information and data," said Nick van Terheyden, M.D., founder and CEO of healthcare technology consultancy Incremental Healthcare. IoT for healthcare can help doctors with diagnoses, dosing decisions and drug selection. It can also set alerts about lab test duplicates or low supplies and review volumes of clinical data highlighting patient risk. Further, IoT devices send safety alerts to hospital staff from IV pumps when they aren't working and allow management of chronic conditions at home around the clock by transmitting vital signs from a patient to the hospital. In the long-run, clinical cost-cutting opportunities are abundant if providers can tap IoT successfully. But with more connected devices comes the need for more IT support, tools and automation -- and bigger IT budgets. Many market research firms predict the worth of IoT for healthcare to increase into the early 2020s. For example, the global IoT healthcare market was estimated to jump from $60.4 billion in 2014 to $136.8 billion in 2021, according to an Acute Market Reports study in 2017, which Deloitte has cited in its research. However, that transition comes with increased infrastructure costs, including for data storage and integration. "The key requirement for IT employees is the seamless integration of IoT devices, securely and connected to the various data sources," van Terheyden said. Part of the problem with achieving seamless integration is that healthcare establishments are awaiting the adoption of a final IoT security framework from the National Institute of Standards and Technology (NIST). The lack of a common standard for data exchange and security makes IoT device implementation inconsistent and vulnerable. 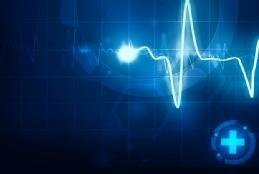 NIST, along with the FBI and the U.S. Food and Drug Administration, have concerns about the cybersecurity vulnerability of internet-connected medical devices. Meanwhile, a lack of data interoperability between IoT devices presents obstacles. "Many of the current devices in the marketplace have proprietary data storage and information exchange, which makes it very challenging for different devices from different vendors to exchange and interact with each other," said Reda Chouffani, co-founder of health IT consulting firm Biz Technology Solutions and a columnist for SearchHealthIT. The key requirement for IT employees is the seamless integration of IoT devices, securely and connected to the various data sources. For data to be understood by all the devices and gadgets, connectivity vendors and IT staff must together integrate design translation software into their modules. Custom interfaces and integrations have to be built to support some of the new IoT devices, and devices that were once mechanical may need replacing or additional connectivity. And all of these additional devices may require a more robust network and advanced security to enable the success of IoT for healthcare. "Integrating the different IoT devices so they can exchange data will likely be the biggest challenge that IT staff will face," Chouffani said. Without a common best practice or security framework, vendors are installing security features based on their own definition, leaving the door wide open for hackers. "The lack of one common IoT management platform makes it very difficult for IT to keep up with patching every device and firmware they have within their environment, leaving some unpatched systems vulnerable and at risk," Chouffani said. Additional internet connections between medical personnel and patients require IT personnel to take extra measures to secure data from end to end to ward off hackers. Already, providers are reporting increased difficulty avoiding hacks from IoT devices, databases and consoles. It's cause for major concern given the tight regulations under HIPAA. IT professionals also remain uncertain of the best way to document and incorporate IoT data into EHRs. Among existing EHR systems, it can be difficult to centralize or integrate data, although some electronic record systems now allow patients to import their own data. Other medical device vendors offer a cloud-based platform for wireless transfer, storage and display of clinical data that if expanded would be a major asset to the healthcare industry, but like data integration and breach prevention, there's still a long way to go. How prepared is your healthcare organization to use IoT devices? IoT is progressing for healthcare but security for IoT is not kept in mind during manufacturing, development or implementation. Organizations are struggling to keep patient data safe and secure which is residing on these IoT devices or being processed by these IoT devices. Conventional endpoint security is no more relevant. Further, there is a significant gap in the level of understanding. General IT does not understand the functions, processes and requirements of these IoT medical devices. Clinical engineers which are deploying these IoT devices are not from IT or security background. This becomes a challenge in keeping the devices working normally as well as protected. The threat landscape for IoT medical devices is also dynamic and relatively new. Conventional security attacks, which we know how to prevent, are not relevant for IoT devices. Security standards being published or written are not mature enough to cover all aspects or IoT medical devices. Self efforts are always a good start but what maximum we can do if the vendor of a IoT medical device says, "No we don't support this patching or firmware upgrades" or "sorry, our devices can only work on default user accounts with no passwords"